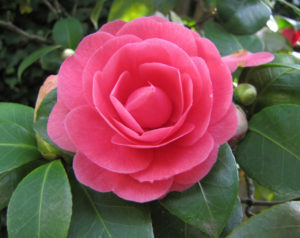 March 5-6, 12-13, 19-20: CAMELLIA SHOW (ANTICHE CAMELIE DELLA LUCCHESIA): Pieve and San Andrea di Compito (Lucca). Open 10 am – 6 pm. Tickets: 6 euro, free for children under 12 and disabled with assistance. No-cost shuttle bus service available departing from Frantoio Sociale del Compitese (Via di Tiglio, 609). 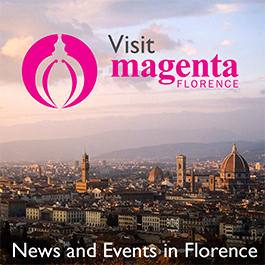 The advent of spring in Tuscany is heralded for the 27th time in hills above Lucca with the annual opening to the public of the hidden Camellia gardens. The scene is very inviting: medieval architecture, villas, the Tuscan landscape and the first warm breeze of spring makes the journey to the gardens a must for those who enjoy open air events and a touch of nature. Rarely found outside South-East Asia, the flower arrived in Tuscany thanks to the flourishing silk industry and trade centered in Lucca during the medieval and early Renaissance periods. The geographical position of Pieve and San Andrea favored this exotic import, becoming the camellia towns in the 18th century when the locals started cultivating the flower also for their leaves used to manufacture tea. The tradition continues, and has become so popular that every year thousands of people visit the towns to see the camellias, in a multitude of colors, in full bloom. During the weekends of the event the owners open the Camelieto park, which is a 7250 square meter habitat for 1000 camellia plants, and the Antica Chiusa Borrini, the main tea plantation. A trail leads between the two towns, and the path is lined with blossoming camellias. The guest of Antiche Camelie della Lucchesia is Japan, and Japanese culture: visitors can take part in a traditional ceremony and taste Tuscan teas and those of Land of the Rising Sun. To make the event more memorable, musicians of the region give a number of performances, including a concert on Saturday, March 12 featuring the music of Puccini, specifically the arias of Madame Butterfly, at the church of Sant’Andrea di Compito (5 pm). Creative minds cannot miss “L acqua, elemento vitale del Borgo delle Camelie” painting workshop (reserve a place at info@camelielucchesia.it) as well as the exhibition of watercolors at Villa Torregrossa and a photo display of Tuscan landscapes at the church of San Andrea.